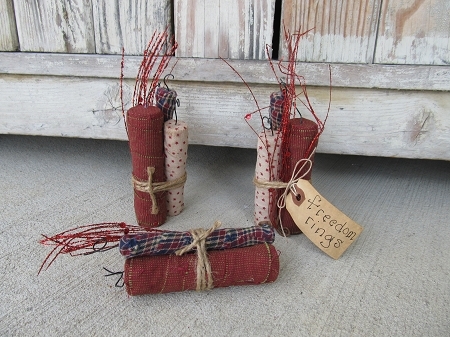 Primitive Americana Firecracker Bundle bowl fillers. 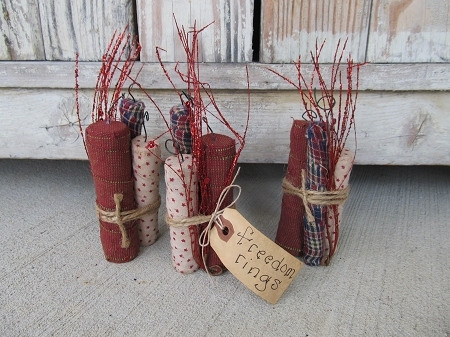 In this set you'll receive 3 bundles of 3 firecrackers with a few sprigs of sparklers and a primitive tea stained tag with various sayings. Each bundle measures 5"x2". They are great for the summer months, mix with her Red, White and Blue star bowl fillers or flag bowl fillers for a very patriotic display.